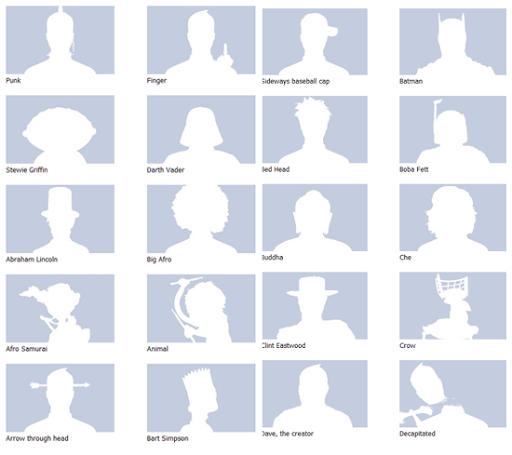 Default Facebook silhouette is boring Someone called David has created a bunch of alternative Facebook profile silhouettes - from Albert Einstein to Frankenstein, Batman to Darth Vader. These are free to use in your Facebook profile. Have fun! View more facebook profile pics here.